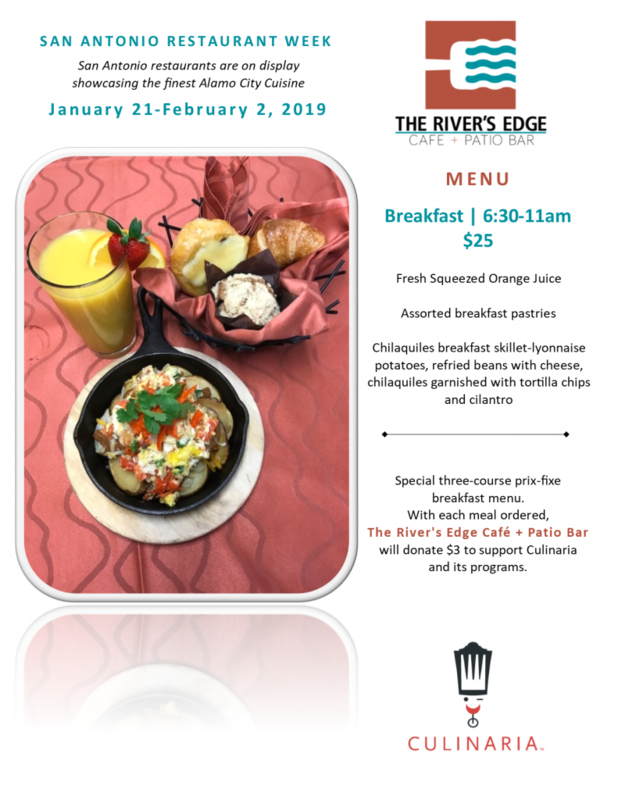 Get your appetite ready for this year’s Breakfast Edition of Culinaria’s Restaurant Week, running Monday, January 21 through Saturday, February 2, 2019. The event gives diners an opportunity to experience our restaurant with a special pre-fixe Breakfast menu for $25 per guest. With every purchase, The River’s Edge Cafe + Patio Bar will donate $3 in support of Culinaria Week and its programs.